Welcome back, friends! First of all, thank you so much for all of your nice comments on my Spring Tour yesterday, you all are so kind! We slipped away for a few days of down time and had limited wi-fi access, so I'm still catching up back at home today. I'm so excited today to be part of something a little different... sweet Heather at Southern State of Mind has organized a virtual Progressive Dinner Blog Party! 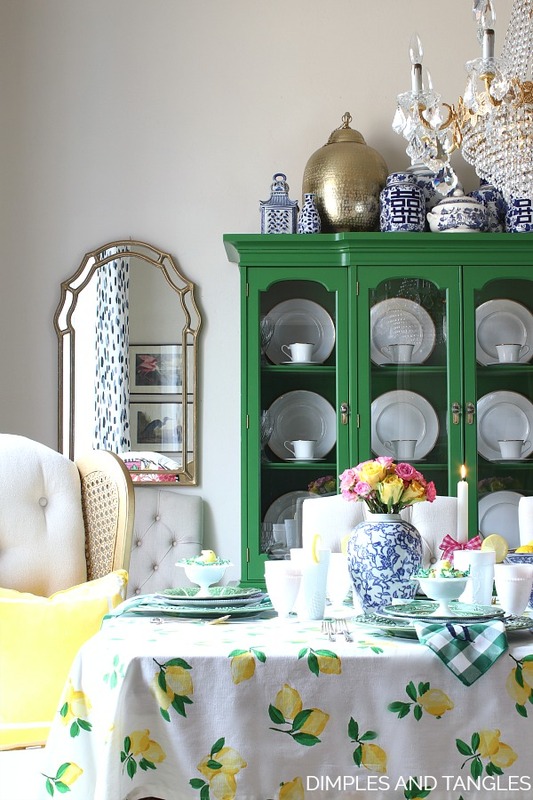 A fabulous group of bloggers that I'm honored to be included with are all sharing some aspect relating to a Spring dinner party- whether it's a favorite recipe or tablescape- and we'll virtually hop from house to house to participate. 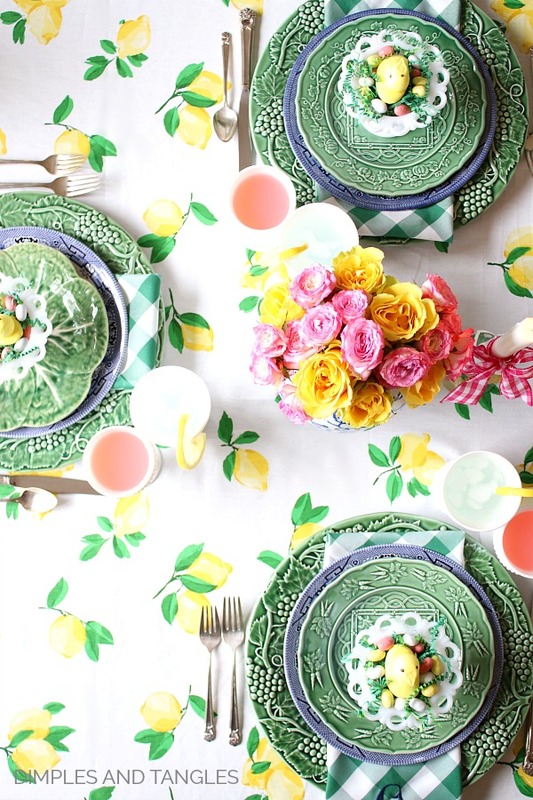 You know I can't resist the opportunity to create a new tablescape, so today I'm sharing a lemon themed table just right for a Spring dinner party or even for Easter- did you realize it's only a little over a week away??? 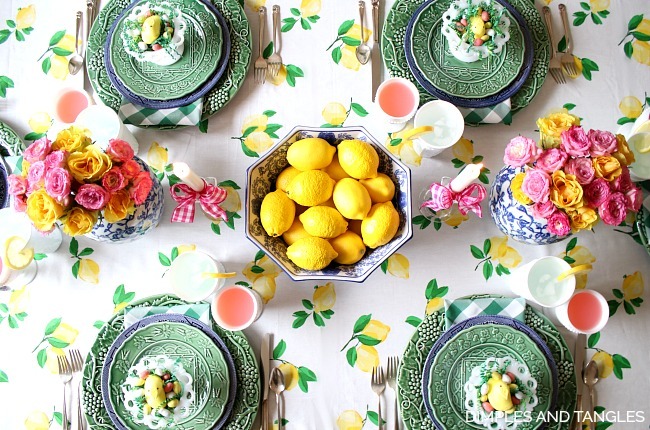 I bought this tablecloth last year and it just begs to be used in Spring and Summer, and how could I not use a big bowl of lemons as a centerpiece? 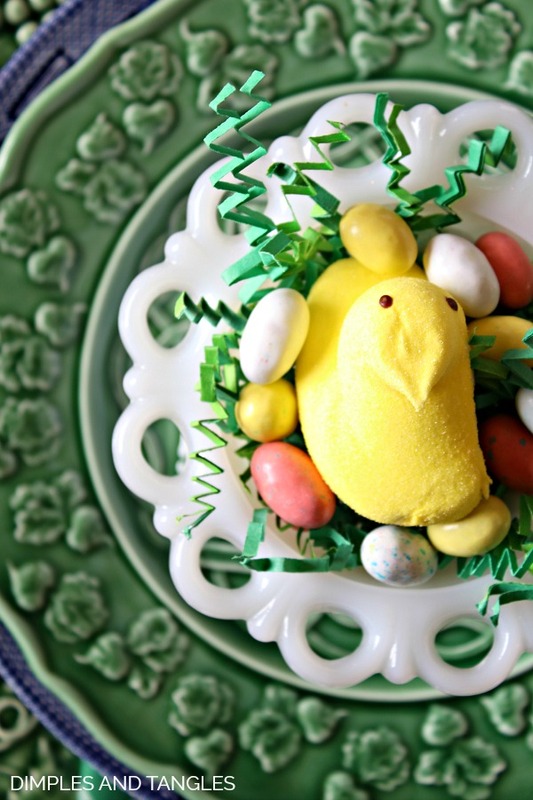 As a special treat at each place setting, I gathered up my favorite milk glass dessert bowls and and filled them with some shredded "grass", then topped them with a Peep chick and some Whopper Robin's Eggs that coordinate with the table. 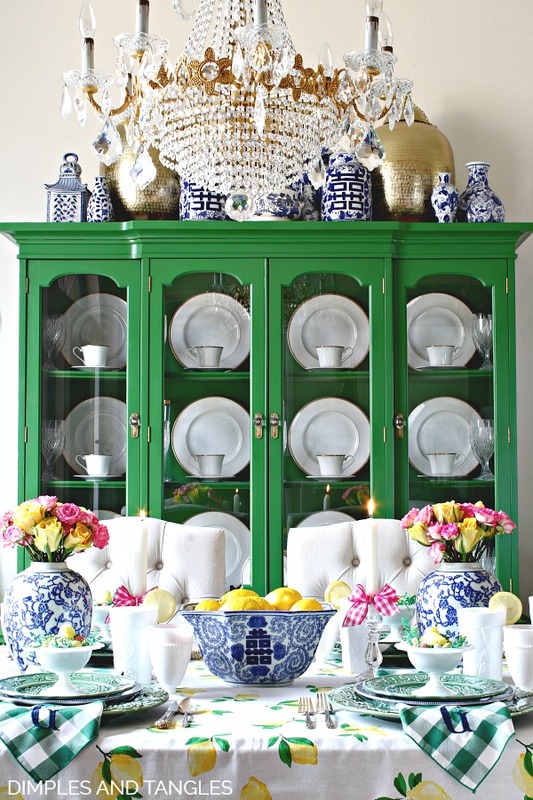 I've had this green Bordallo dish collection for years and love mixing it in with other pieces. We serve out of the kitchen for big family holiday dinners, so that leaves room on the table for a larger centerpiece and flowers. Fitting for this tablescape, Lemon Squares (I shared my favorite recipe here) are one of my favorite treats to make at Easter... I need to get a batch made up. My mouth is watering just thinking about them! 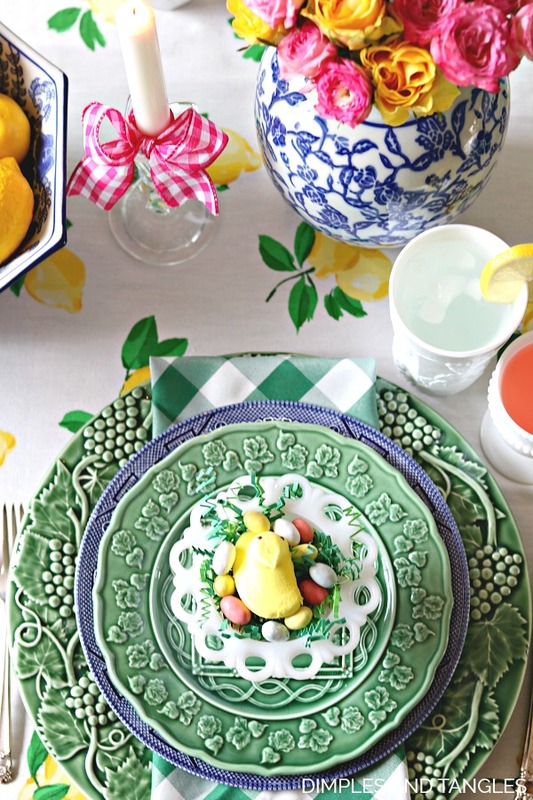 For more Spring and Easter tablescape ideas, click here! To shop this graphic, click left and right arrows to scroll, then click on the image you're interested in. 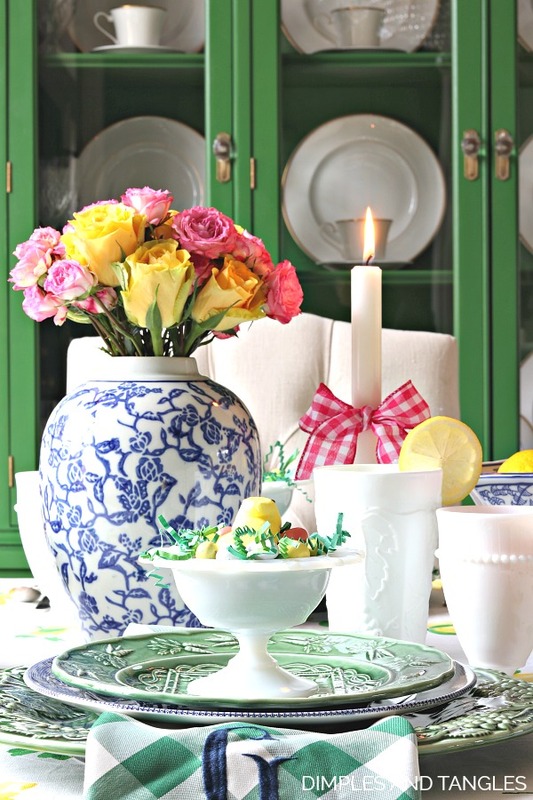 I hope you were inspired with a new idea or two today to create a fun Spring table. 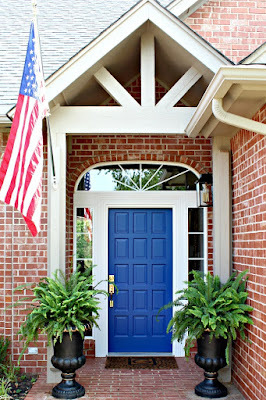 Now, be sure to make the other stops in today's Progressive Dinner Party for lots of great entertaining ideas! So pretty Jennifer! I need to message you about how you take those overheads because it's such a great angle! Love this! Beautiful! Love the lemon theme and ALL the dishes! Oh my gosh I love how you decorated with peeps! I want everything on your lovely table Jennifer especially those green plates!!!! My mouth is watering, too!! Bring on the lemons :) Love your color scheme and your overhead table shots are unbelievably stunning! I'm looking for some fresh spring party ideas. This this beautiful lemon theme is the way to go. 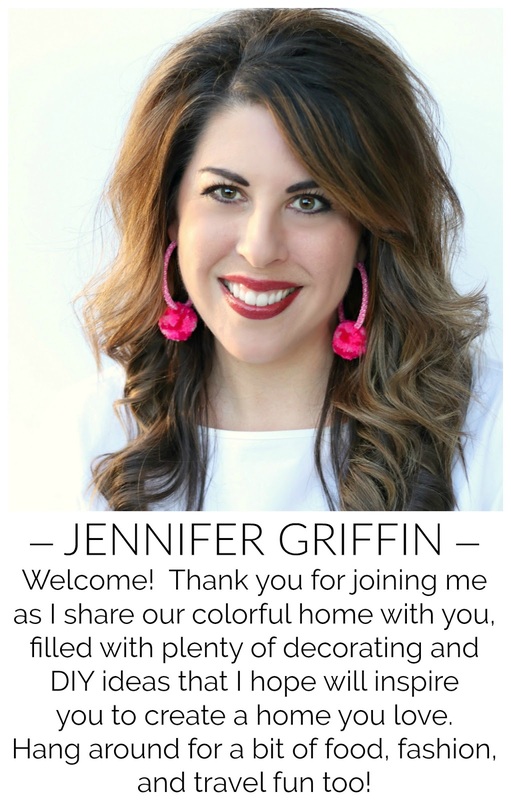 Your tables are always so pretty Jennifer! 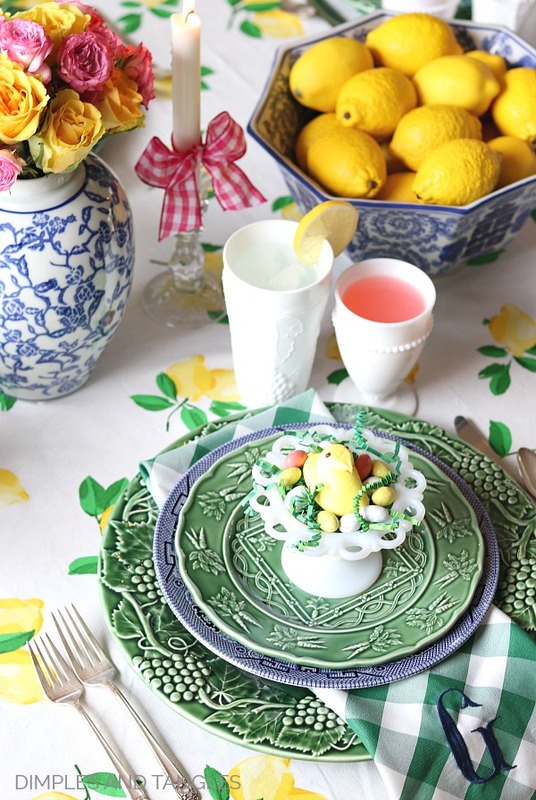 LOVE love love the lemon tablecloth and theme. So perfect for spring and summer! !